*I totally kept a comb in my back pocket in the 70's because I so badly wanted the blow backs like Farrah!!! Never looked as good as her's did!! 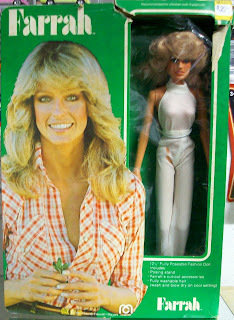 *I remember my Farrah Fawcett Barbie Doll... anyone else have one? *I totally respect Farrah for documenting her fight with Cancer ... let the world see the face of cancer & how much of a fight it is.... I think there are people who truly dont understand. *The Thriller Album was AWESOME... I think EVERYONE owns this - & LOVES it, even now! *I could never mastered the Moon-walk... hanging my head in shame... dont think I didnt try either! My brother had the cardboard in the basement, when Break Dancing was coming in... Couldnt even slide across slippery cardboard... I'm not a moon-walker! *I worry about Michael's children... whatever you think about their birth, if he is "really" the father... I still worry for them... I bet there are going to be some CRAZY stories coming out... they dont need to hear this... & what happens to them... who will be their care takers? *Finally.... what probably makes me sadder then anything... a friend of a co worker passed away today - he was 37 years old & died of cancer... he had two small children... no one is going to be doing a CNN report on this man's life... but yet, hopefully he AND Farrah & Michael are all in the same place, experiencing the same love of God!!! What is your childhood memory of Farrah? Or Michael Jackson? What was your favorite Michael song? Fan of the Jackson 5 or the newer stuff? Happened upon your blog... Farrah and Michael... sad day, I agree. Farrah was so beautiful! I remember watching Charlie's Angels at my grandma's house... Her battle with cancer was courageous! It is incredible heartbreaking on all three accounts. My mother wouldn't let me cut my hair in layers to get the "Farrah" look. We taped the Thriller video and the making of documentary and watched it constantly. I am truly sorry about your co-workers friend. But isn't it amazing that God felt that he only needed to be here for 37 years? I've dedicated a big piece of my blog to him today. Hopefully that gives you a small understanding of what he meant to me. Sorry about Ed Mcmahon and Farrah too. They are all "gone too soon"
That news of Michael's passing was a shocker. I think we all knew that it would be long for Farrah. I looked up to her so much when I was a teenager and I wanted to be just like her! The feathered hair was a must! I grew up listening to Michael Jackson's music . 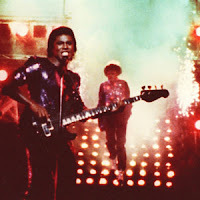 I think "Thriller" was my all-time favorite song AND video. Just so very sad what fame and fortune did to him. 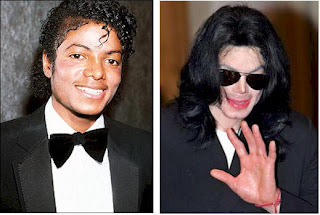 First, I remember when Michael Jackson's skin was it's true color (how many young folks can say that?). But joking aside, I do remember him doing the moon walk on TV, watching MTV when it was music videos and catching Thriller, etc. On a side note--yes! Girl, you can still plant tomatoes! Head over to your garden center and you should find them alredy growing and ready to transplant! Now lets all do the thriller moves in honor of MJ and get our hair did in honor of Farrah!!! Yesterday was such a sad sad day :( I am still in shock about Michael Jackson. I TOTALLY remember when his hair caught on fire...I remember being in elementary school and hearing about it while I was waiting in line to get my lunch. Funny how you remember certain things....especially when they happened to someone so HUGE!!! I am so sad that my kids will have missed out on having him alive...but you know they'll be hearing his music!!! Very sad for both families. I had a PYT shirt and some killer parachute pants for breakdancing to MJ! Ok, I was reading each of your comments and thinking, yes, I remember that. Clearly we grew up around the same time because I remember it ALL! Nice thoughts on what happened in the WORLD yesterday. It truly was a worldwide event...both deaths, I think. I'm stil a bit numb and sad, sitting here at work. My childhood just flew out the window with Michael. I am popping over from SITS roll call. Happy Friday to you. Truly a sad day. Sorry for the loss of your coworker's friend as well. I'm young/old enough that I remember Michael mostly from the '80s on. The height of his career and all of the controversy beyond. But truly an entertainer. Stopping by randomly by way of SITS today. The only style my hair has ever done well is the wings thing. I will let it do so in honor of her today. My Michael Jackson thoughts will always go back to my years hanging out at the roller rink..
Hugs to you and your friend's family. I wish nobody had to experience the loss of a loved one, let alone a parent at any age. I think Michael's death will be marked with all the other big life moments for me ex. Space Shuttle Challenger explosion, Death of Princess Diana, 9/11. I say this in the sense of it being another moment in my life where the world seemed to stop if only for a moment. I loved both of them. Michael I use to dance around and play thriller over and over and do the moves. Farrah was just a great person and actress. A couple of years ago I taught my kids thriller and found the video on youtube to show them. It was music history!! I had Farrah hair and loved watching Charlie's Angels. I do hope his children can be loved and have a normal life. I remember his music, loved it! Then he got so weird! Farrah was the most beautiful!! And brave! That co-worker - wouldn't happened to have been friends with Jerald? He and I went to school together. It was very heartbreaking and can be such a wake-up call. So very sad about Farrah & Ed McMahon...shocking about MJ!! And I'm so sorry about your co-workers friend!